Little Mount Church, also known as St. Thomas Mount is a holy shrine which is the resting place of St. Thomas the Apostle. The church is located on the top of a small hillock in the outskirts of Chennai city. 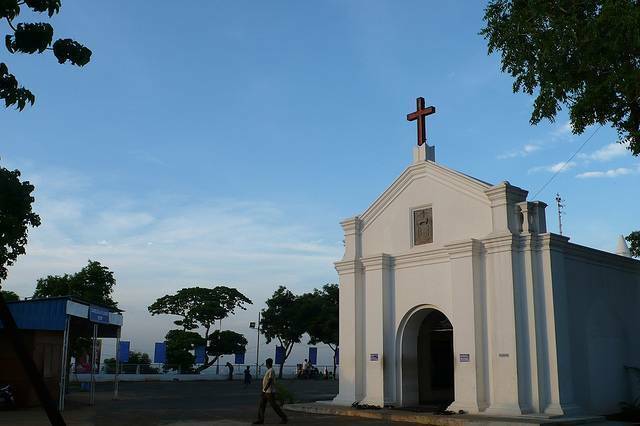 Apart from the famous church and its religious history, this spot is known for the bird’s view of Chennai. A small trek up the mountain will offer a breath taking view of the city, even a glimpse of the Bay of Bengal. Since this mountain is located near to the airport, sighting of take-offs and landings are common and much enjoyed. A spot best to visit during sunrise and sunset.